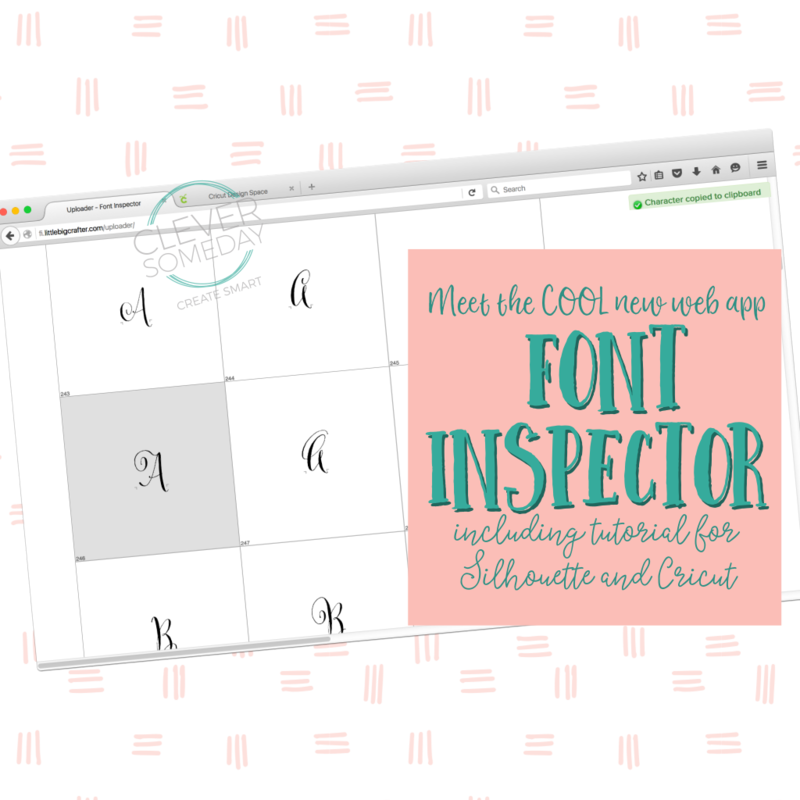 Have you seen the new Font Inspector tool from the good folks at LittleBigCrafter? It’s in its early stages but already pretty darn cool. 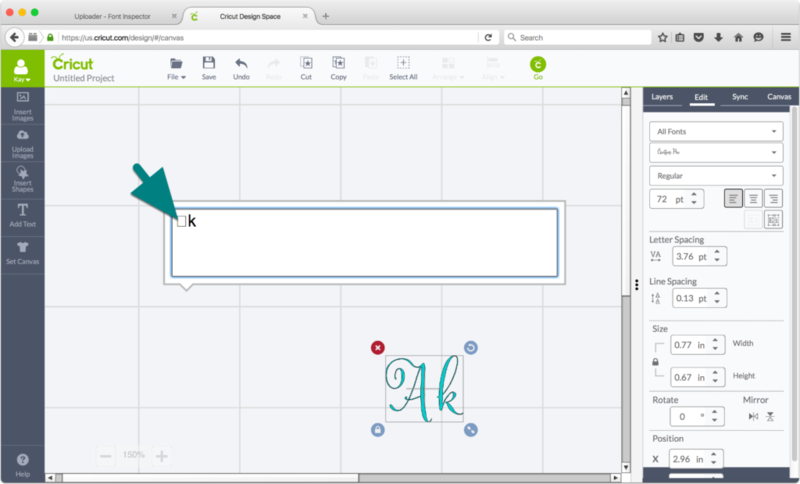 Once you upload a font, you can view every single character (called glyphs in type-speak) and for the glyphs that are mapped to Unicode (meaning at least the normal ones on your keyboard plus any that the designer has specially coded to the Private Use Area, aka PUA), you can copy them for pasting into other apps like Silhouette Studio or Cricut Design Space. 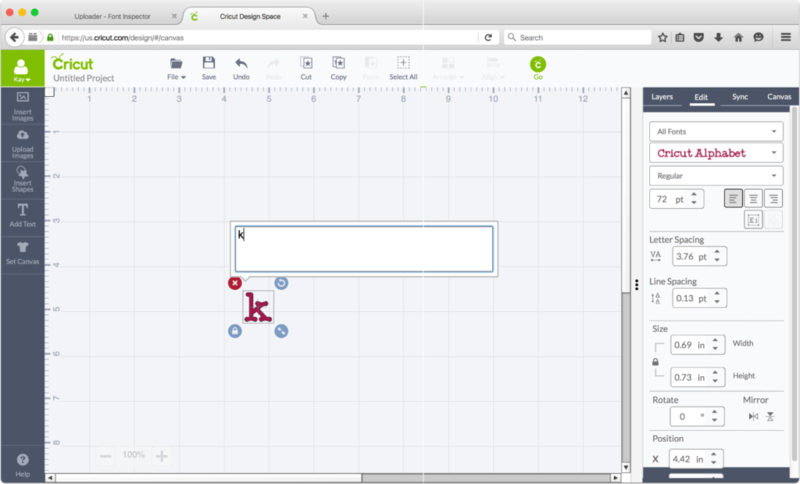 It has a nice big zoom so you can get a better look than with Character Map and the other options on the Windows side. Another bonus is that the font does not have to be installed for you to view it (though you do have to have the font installed in order to be able to paste its glyphs into another program). 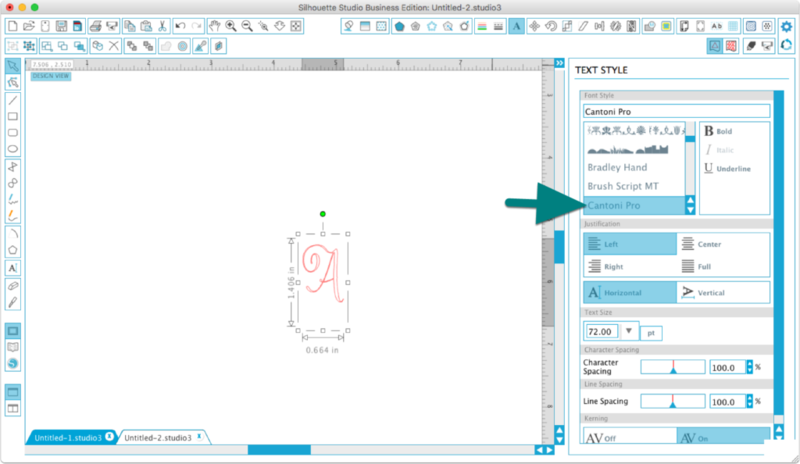 Here’s a quick tutorial on how to use Font Inspector to see all your font’s glyphs, and copy one into Silhouette Studio or Cricut Design Space. Open Font Inspector in your browser and click the “Upload your font” button (or use the Upload font to inspect on the black bar at the top of any Font Inspector page). Note: Font Inspector didn’t work for me in Safari. This tutorial uses Firefox. Click the Browse button. 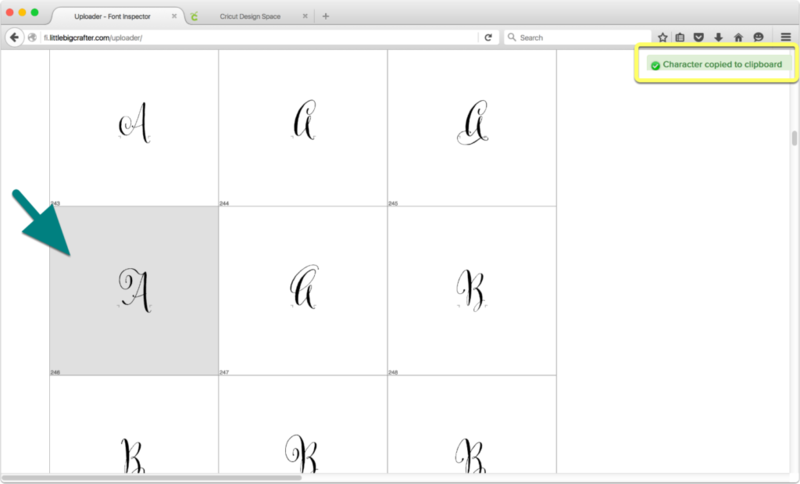 Navigate to the font you want to inspect, select it and click Open. The font can be anywhere on your computer, it doesn’t matter whether it is installed or not. This is a temporary upload, your font will not be saved on the Font Inspector server. 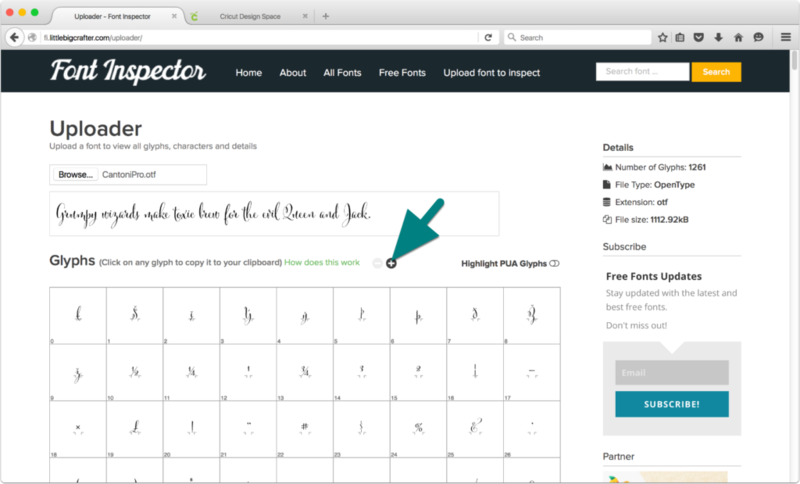 The page will populate with all of the glyphs in your font. Click the plus button if you want to make the glyph boxes bigger. Scroll to the glyph you want, and click on it. 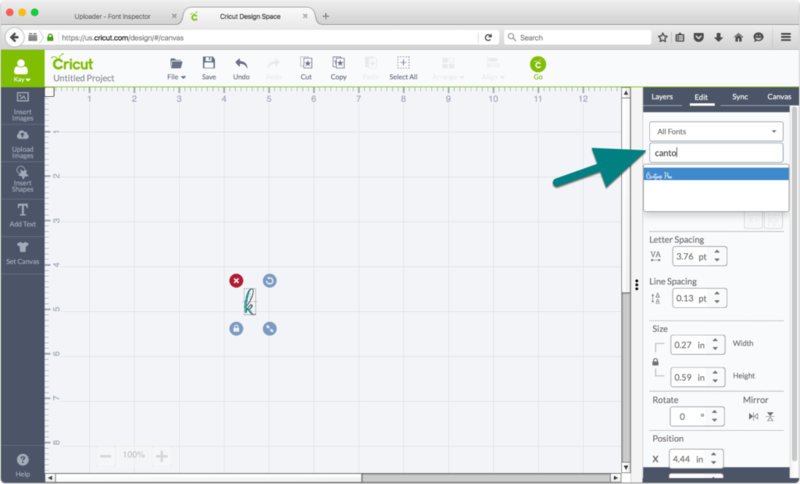 You will see a confirmation message in the upper right of your screen that your character has been copied to the clipboard. Note: Don’t click on any glyphs if you are just looking and have something else on your clipboard you don’t want to lose. 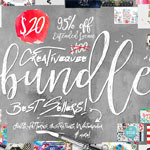 In case you are wondering, this gorgeous font is Cantoni Pro from designer Debi Sementelli. 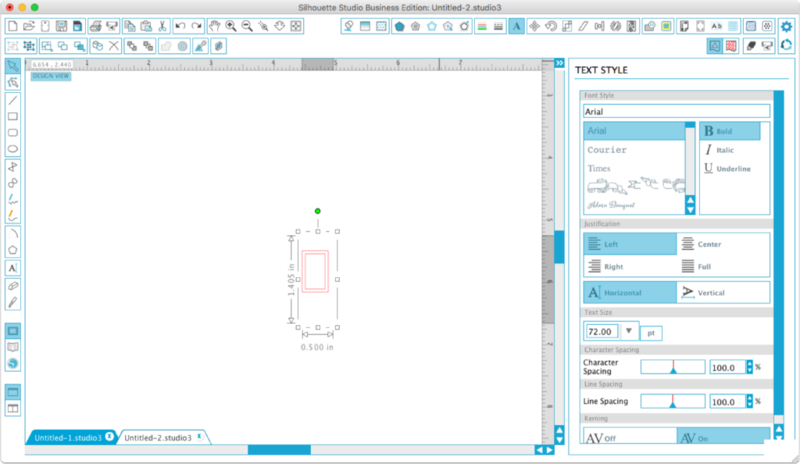 Open a Silhouette Studio document and Edit>Paste into the document. Depending on the character, you may see box or question mark, this will be remedied in the next step. 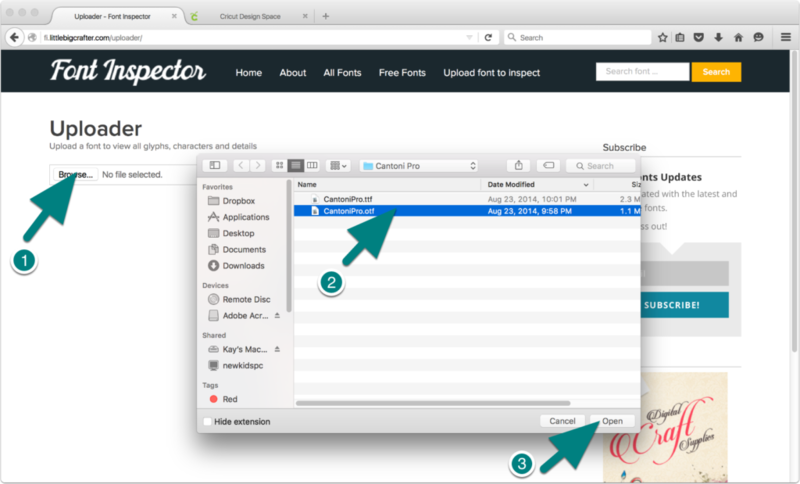 If instead you see what was on your clipboard previously, that means the character is not coded for copying with Font Inspector. Open the Text Style panel and change your font to the same one you are inspecting. The glyph should match the one you copied. 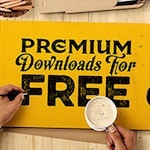 If it doesn’t, be sure you changed to exactly the same font including variants like bold, italic, etc. If you have DE or above, you can copy subsequent glyphs directly into the same text box by double-clicking to get a blinking cursor. Select the type tool and click on your canvas and type any character (it’s a dummy you’ll delete later). 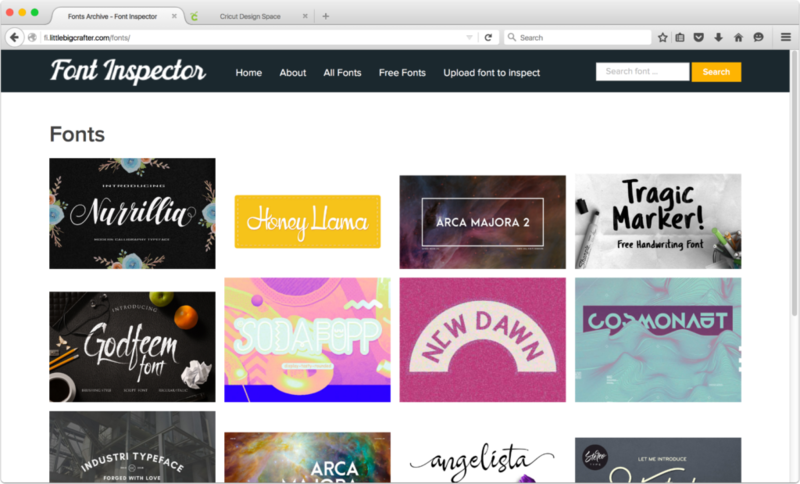 On the Edit tab, select the font and style that matches the one you copied. Double click on the text to open the input box and press control-v (Win) or command-v (Mac) to paste. It may look like a rectangle in the input box but it should look correct on the in the text box. Delete your dummy character. Any subsequent characters you want to add can be pasted into this same text box and will appear correctly since it is already set to the correct font. Little Big Crafter is building a database of designer submitted fonts, so you can check out all the glyphs in a font before you buy it. And as the list of participating fonts grows, maps for fonts you already own will be available without you needing to upload first. I’m pretty excited about the potential here. 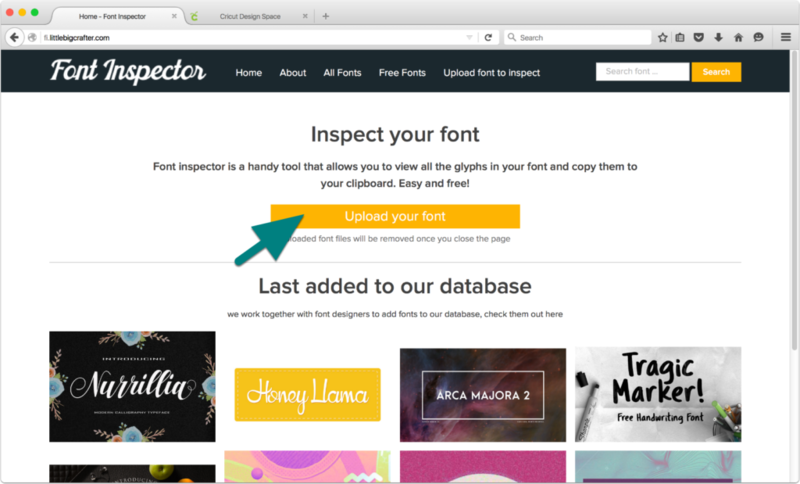 Check out Font Inspector today, and remember to bookmark it and share with your friends. This is excellent, Kay! I love the bigger preview than Character Map shows. 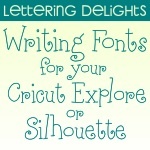 Now I just need to find where all my Silhouette-purchased fonts reside so I can look for special characters. I found the Silhouette fonts in my system’s Fonts folder but not by their font names. The files are named with a lowercase d followed by 6 digits and the .otf or .ttf suffix. Sneaky. Thanks! I have to take a longer route with my Windows 10 setup. I can’t open directly from the system’s Fonts folder using Font Inspector (says I don’t have permission), but if I copy and paste any fonts into a separate folder, then I can install from that folder into Font Inspector. I’ve been collecting all my fonts in that external folder for years just so it’s included in automatic hard-drive backups, so the only fonts I use that are missing are the fonts I’ve purchased from Silhouette. Thanks, Kay! Looks like it will be a really helpful tool. Now maybe I can get some use out of my purchased Sophia font. You find just the right online tools to fill in for those that don’t exist for our computers. KUDOS! 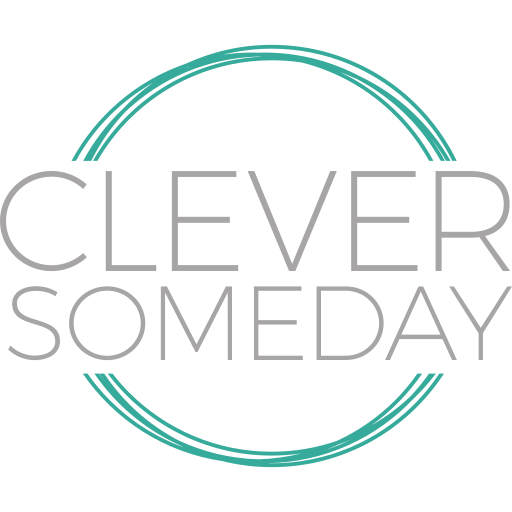 I’ve just discovered this too, I think it’s ace. Yeah the SIlhouette fonts are in folders named after their design id numbers, but if you do a search for the name it should find them. In Windows 10, I just go to the cortana Ask me Anything search for ‘installed fonts’ and it brings me to Control Panel\Appearance and Personalisation\Fonts. Then I use the search in the top right hand box, but as Kelly says I have to copy them as I don’t have permissions set from C:\Windows\Fonts and it wasn’t immediately apparent how to change this! Thanks for adding to our Win 10 knowledge base Nadine. This is going to be important not just for Silh store fonts but for any installed font if the Windows user doesn’t already have them copied elsewhere. Thank you Kay so much! Looks like it will be a really helpful tool. 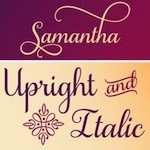 Now maybe I can get some use out of my purchased Samantha fonts along with all the other fonts I have. 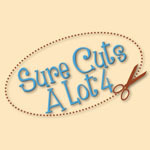 Unfortunately, there’s not really a way around it. 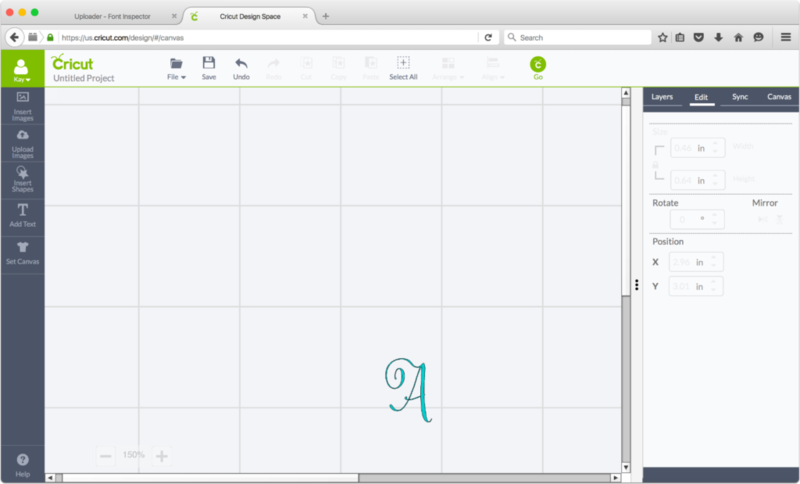 If the fonts are not specially coded you will need Adobe Illustrator, Corel Draw etc to get to all the glyphs.